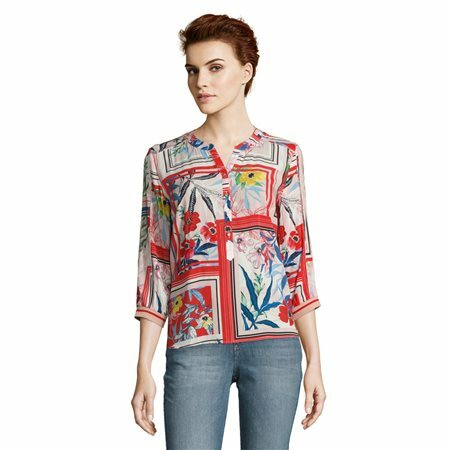 This blouse screams spring/summer with its beautiful range of bright colours on a background of an abstract floral print. This is a lightweight airy blouse with a rounded collarless V-neckline and a midway button closure. You will also find the cuffs have an elasticated rim making this an easy to wear, comfortable blouse.